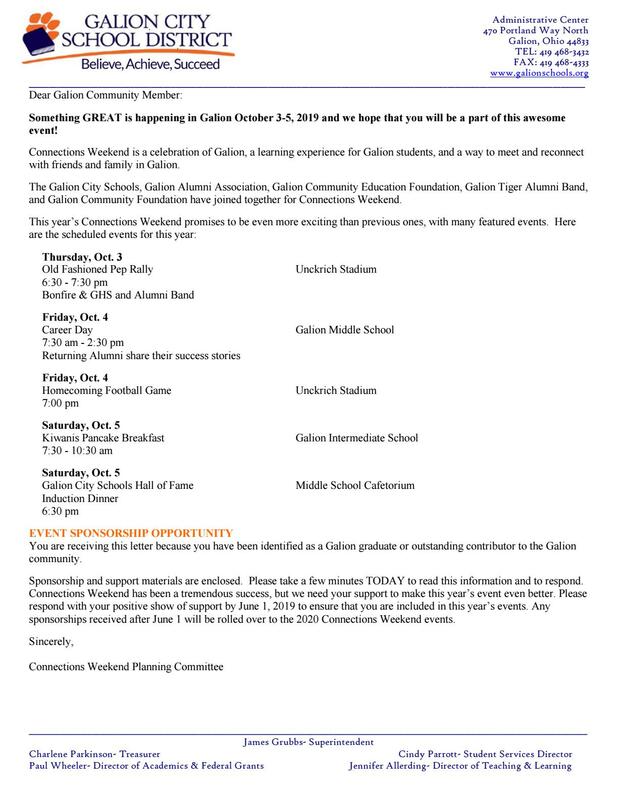 The Galion City Schools Connections Weekend will be held October 3-5, 2019. Posted here is a copy of the Sponsorship Letter and Sponsorhip Packages sent to local area supportors of the event. Please consider being a sponsor of this community event. 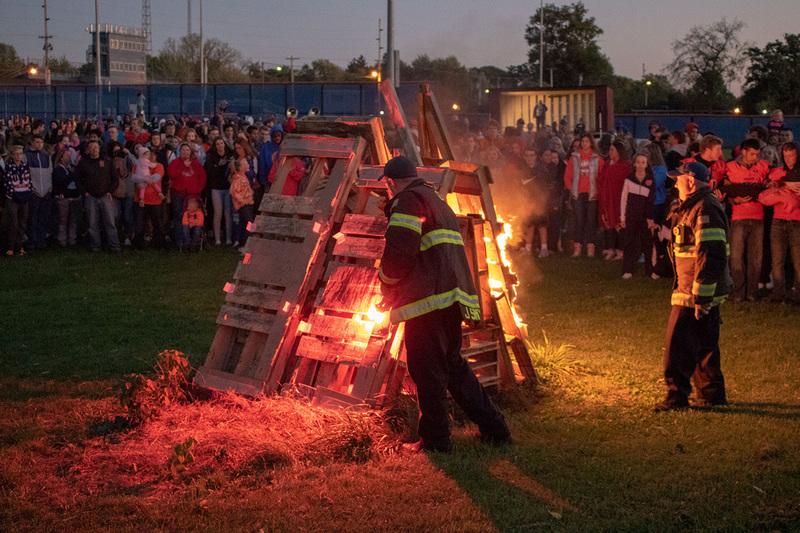 The Galion Alumni Association has entered 2019 with high expectations for the organization in the Future. We have with open arms welcomed new members into our fold with several accepting positions on the Board of Directors. 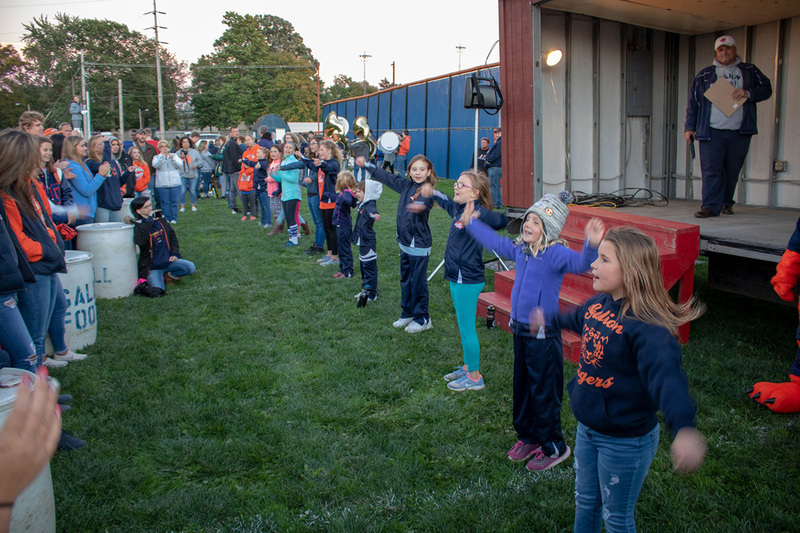 We have already experienced the dividends of having these younger alumni stepping up to accept the challenge of renewing interest in the Galion Alumni Association. With the arrival of this news letter, it is our hope that you will continue to be a member or consider becoming a member of the Association. You will find on this website a printable membership form under the ABOUT US menu or may join by using the membership online purchase option in the right column. Current and past member participation has been greatly appreciated. Membership in 2018 reached 160 dues paying members, of which 85 were Lifetime Members. This year, three members chose the Lifetime Membership option and we thank them for their dedication to the Association. Most of our annual members are individuals or couples that maintain their memberships year after year. We would like to encourage those members that are local to participate by attending the monthly meetings and becoming a member of the Board of Directors or participating in the activities of the Alumni Association. There is always the opportunity for all to relay suggestions for activities that would appeal to you. 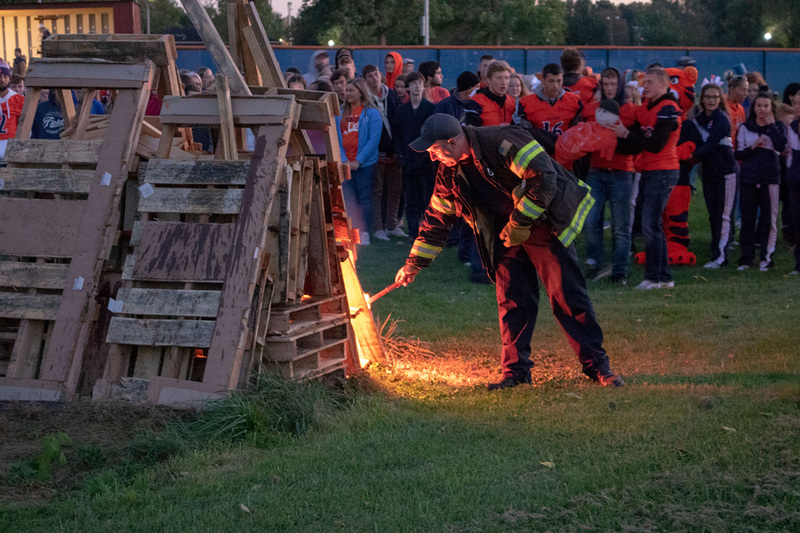 Alumni Association information and activity updates may be found either on the Galion Alumni Association website or Facebook page. 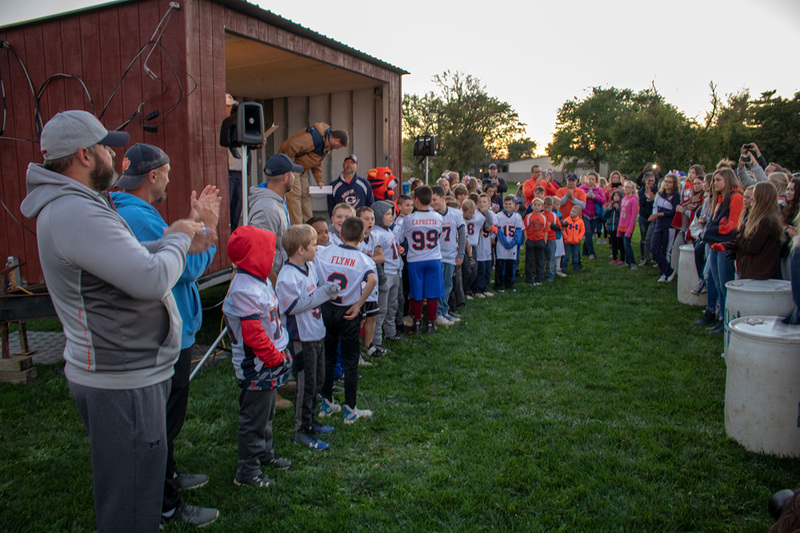 During 2018, the Galion Alumni Association continued to pursue opportunities to aid in building a better school system and community. 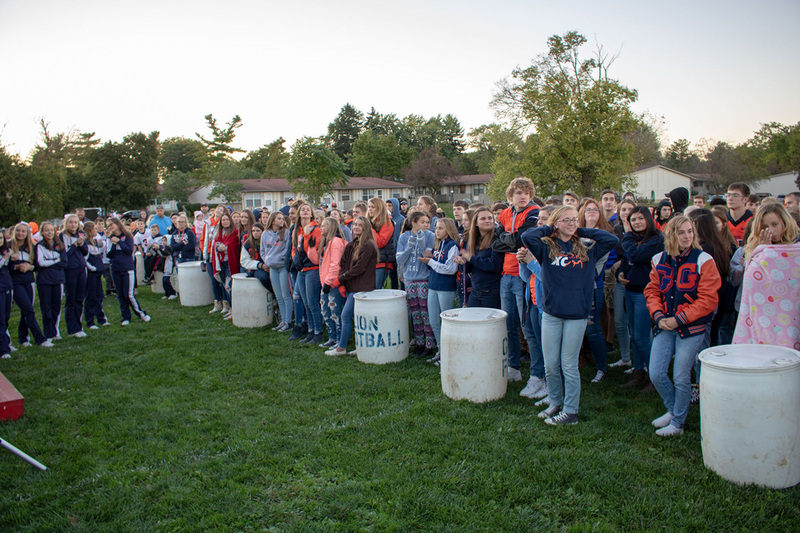 We have been involved in providing funds for small projects that benefit current students and recognize the contributions of Galion Graduates. Some of those efforts are covered below. 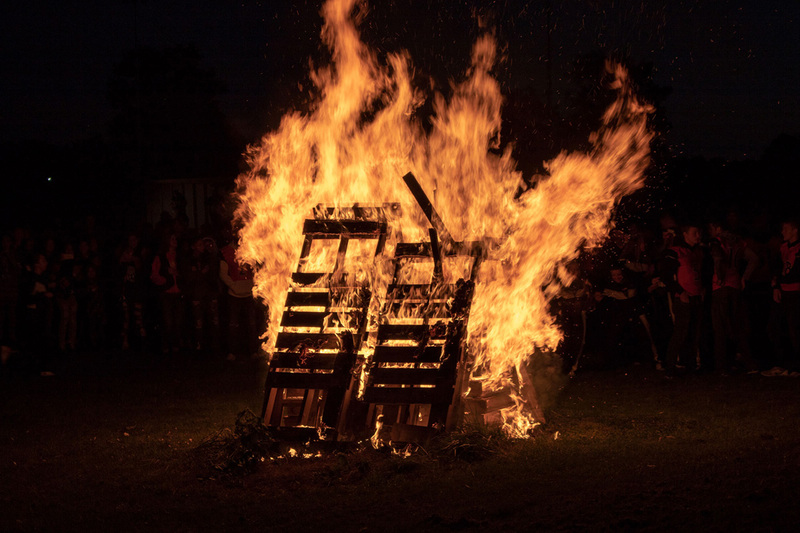 The Alumni Association held several fund raisers during 2018. The Primary fund raiser was the 300 Club Ticket sales which resulted in all 300 tickets were sold. For those not familiar with the 300 Club Ticket, it involves the sale of 300 tickets at $20.00 each. At each home game in both football and basketball, two tickets are drawn to determine winners of $100.00 each. Those tickets are then returned to the container and are eligible to be drawn in the future. Anyone wishing to help with the sale of the 300 Club Tickets please contact us. This year, we decided to sell Galion Alumni T-shirts. We offered both men's ($15) and women's ($20) styles in colors complimentary to Galion Tiger color theme. These shirts are obtained through a Galion business, achieving one goal of the association to support the Galion Community. Two social type events were held during 2018. The first was a "Pints for a Purpose" event held at the 1803 Taproom. The second, was a mug painting event held at Fox Winery. 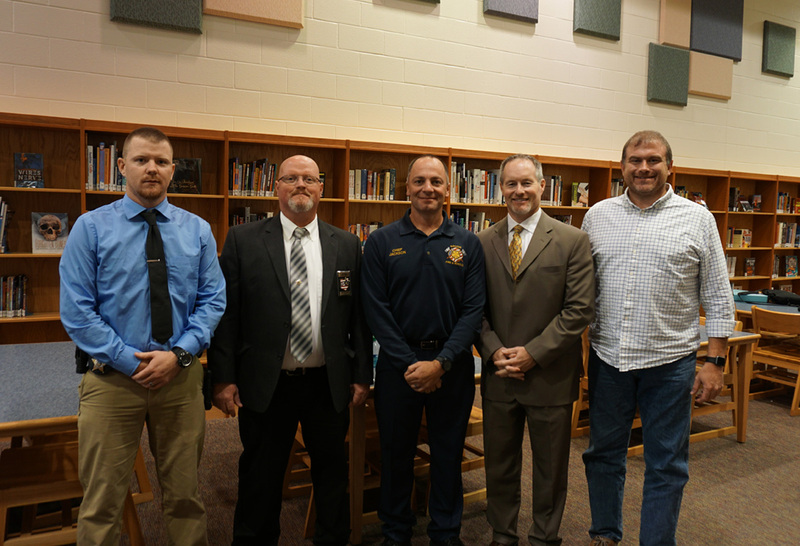 Both Galion establishments provided an enjoyable evening for those who attended. Total income from all sources including the membership dues $9094.90, down slightly from the previous year. 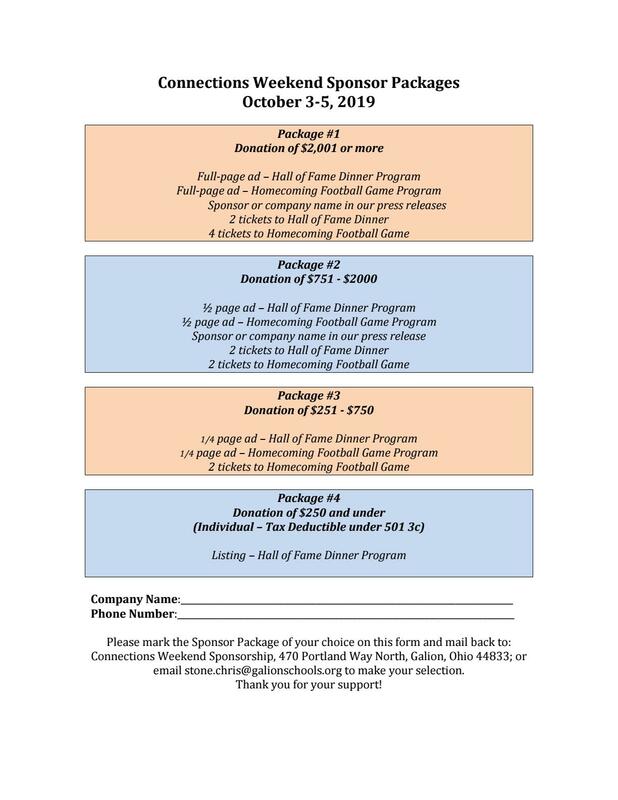 The Galion Alumni Association continues to be a participating member of the Connections Weekend Committee. This Committee is responsible for the production of the Galion Connections Weekend which will be held October 3-5, 2019. 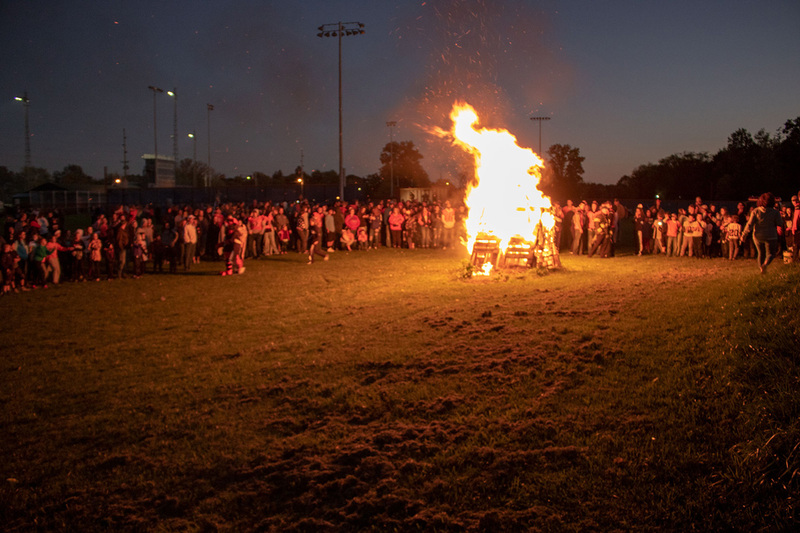 As in previous years, there will be a Thursday, Homecoming Bonfire (Weather permitting), a Friday, Career Day for Middle School students and the Homecoming Game in the evening. Saturday features a Kiwanis sponsored Pancake Breakfast, and the Hall of Fame Banquet. The Alumni Association plays a large role in the Hall of Fame event and encourages the submission of nominations for Galion High School graduates that deserve recognition. Nominations for the 2019 Hall of fame inductees are due by June 1, 2019. All of the Connections Weekend events are open to the public and are not restricted strictly to Alumni. Please join us. 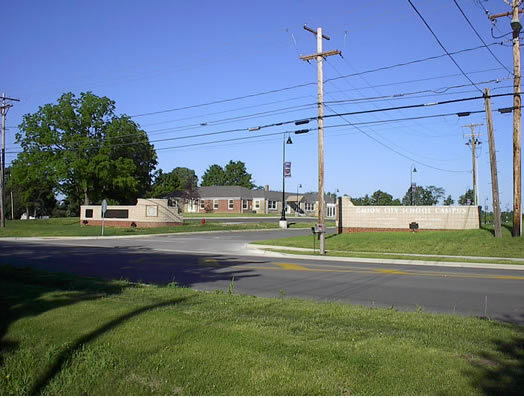 The Connections Weekend is intended to serve as a fund raising vehicle to provide funds for building an Auditorium or Performing Arts Center on the Galion City Schools Campus. This is an extremely ambitious undertaking as this will be a multi-million dollar project and will require some large donors to step forward. 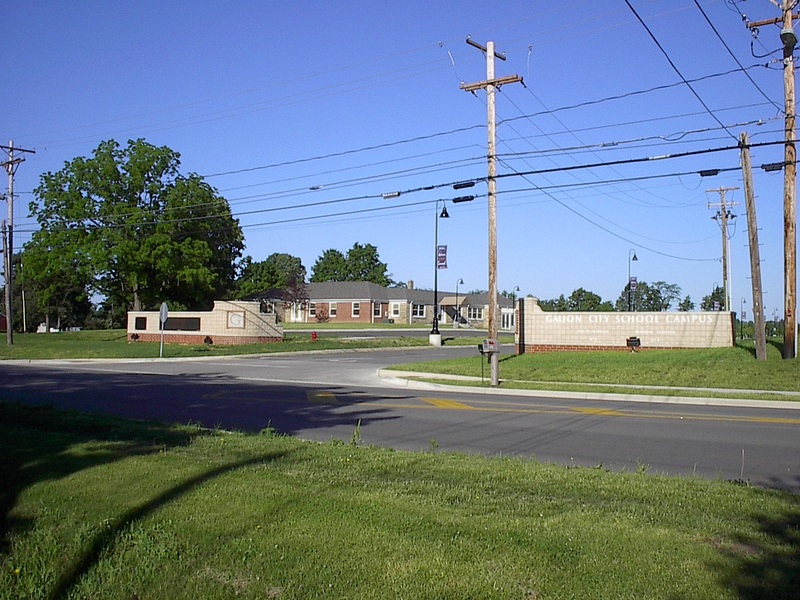 There are other projects, one being a community project to build an all year sports complex near Route 30, which the Alumni Association has been invited to provide support. You are encouraged to visit the Galion Alumni Association Facebook Page or the Galion Alumni Association website. 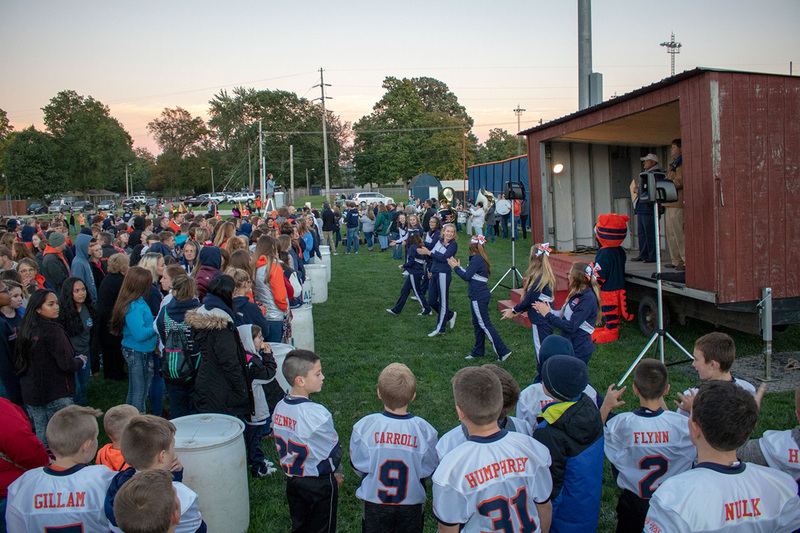 Some extra features, such as Galion trivia questions and spotlight features on Galion Students or graduates. This is a result of bringing some in younger graduates as members of the Alumni Association board. The Alumni Association Board generally meets the third Monday of every month unless there is a cancellation or rescheduling. The meetings are currently being held at Ralphie's in Galion usually at 6:30 p.m. All who wish to participate are cordially invited to attend. Do you remember some of these uniforms as they represented GHS at the football games, music competitions and parades? 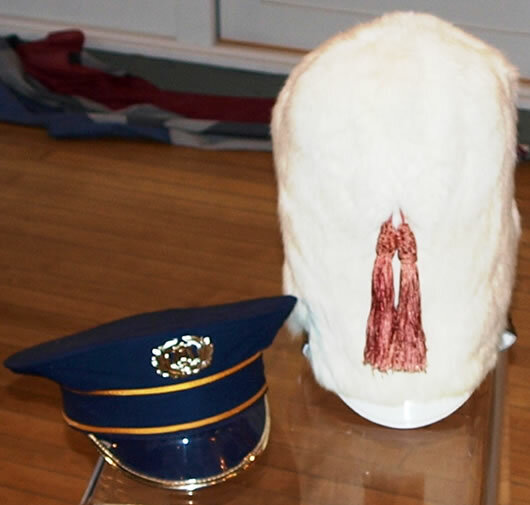 Pictured are a couple of the hats worn by the leaders of the band, a Band Director's hat on the left and the high hat of the Drum Major on the right. To see the collection of band uniforms, both past and present just follow the Read more link.